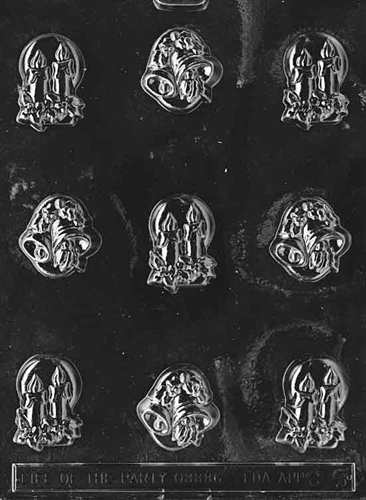 Get in the holiday spirit with our Bells and Candles Mold. Our chocolate powder colors really make these items stand out beautifully. 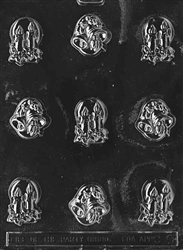 Each piece is 1-1/2" x 1-5/8" x 1/2" & 1-3/8" x 1-3/4 x 1/2"